But that’s not the only cool thing I have to share. This weekend has something else epic happening beside the Three Mages release. 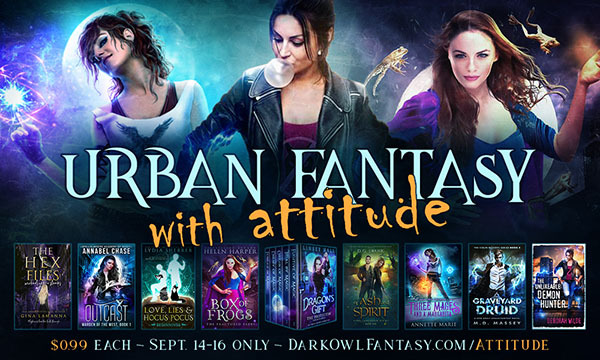 Me and some amazing authors have teamed up to bring you the promo of all promos: Urban Fantasy with Attitude. 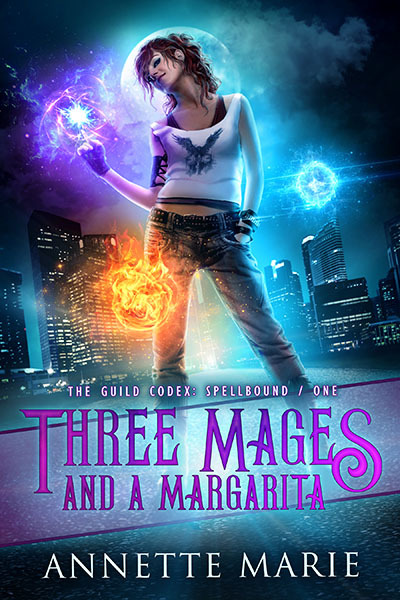 Nine ebooks (one of which is Three Mages, and one of which is a five-book set) of sassy, laugh-out-loud UF for 99c each. If you’re excited about Three Mages, then you’ll definitely want to check these out. Grab ’em all for $10 and have enough reading to keep you busy until Christmas. (Or, if you’re a speed demon, until the end of the week. 😉 ) Every book aside from Graveyard Druid is first in a series, and Graveyard Druid? It’s second in a series with the first book already discounted to 99c. So grab that one too! 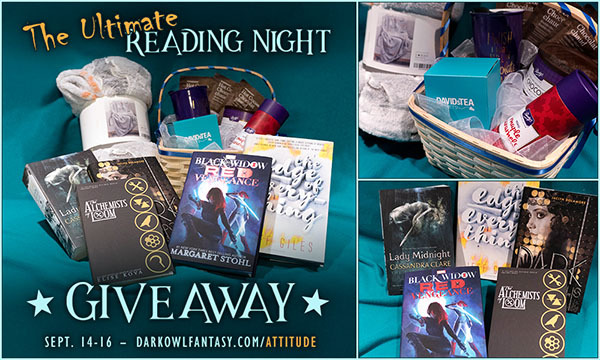 Yep, that’s exactly what it looks like—a killer giveaway of books, hot chocolate, tea, candy, and the snuggliest blanket I’ve ever seen. (And it even glows in the dark!) Make sure to enter the giveaway at the bottom of the sale page. That’s it for now, but honestly, I think I’ve met my quota for awesomeness with this blog post. 😉 Happy reading!